PANORAMIC WIDE RIVER VIEWS! The minute you drive through the gate you will be in your very own private oasis. This spectacular home is located one of the most sought-after streets in Tequesta Country Club. Wide river views are offered from nearly every room and the attention to detail flow through the entire home, from the sprawling staircase, to the marble and engineered wood floors, impact windows, to the wood beams in the formal living room and pecky cypress ceilings on outside patios. Entertain family and friends at your summer kitchen and enjoy the the new refinished salt system pool overlooking your lushly landscaped yard. 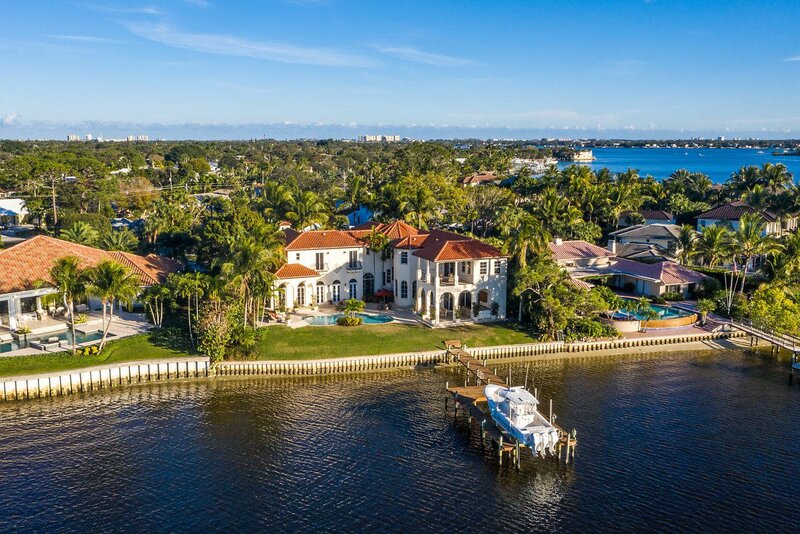 This home also features an elevator, large master suite with sitting area, his and her baths and private balcony overlooking the Loxahatchee River. See More.... The gourmet kitchen is perfect for entertaining, featuring stainless steel KitchenAid appliances, custom cabinetry, large cook island and breakfast bar. The family room features a custom built-in bar with 2 KitchenAid wine refrigerators. This impeccably maintained home is a must see! Just minutes to everything Jupiter and Tequesta have to offer. Generator does not work and buyer can replace at there expense. All information is deemed reliable but not guaranteed. Listing courtesy of Illustrated Properties. Selling Office: Highlight Realty Corp/LW.